We have lots of Ruby-throated Hummingbirds here at the moment but seeing a Hummingbird Moth is still a rare treat. It is almost the same size as the birds and they hover from flower to flower not much slower than a hummingbird. 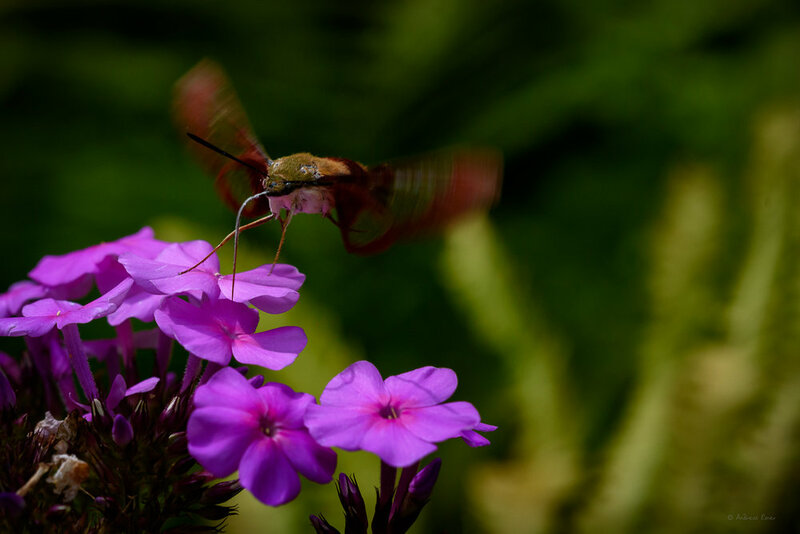 The phlox has spread in our yard and the Hummingbird Moth is obviously attracted to its nectar.